Slowglide - Reigi/Haipa. Vinyl 12. Bleep. 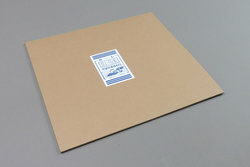 Antinote deviate slightly from their last few releases with this two track 12” from Slowglide. Harking back to golden era bleep techno and UK rave this is a record for the DJ’s through and through, both sides touching on that Warp and Sheffield sound while also containing elements of Detroit style breakbeat. But when has Antinote ever been a label to stay in the same territory for too long? Our pick is the B track ‘Haipa’ here, there are some epic breakdowns and a nicely placed vocal sample alongside irregular rhythms makes this prime dance floor confusion material.